Wanna know our policies, manage your account or modify/freeze/cancel your membership? 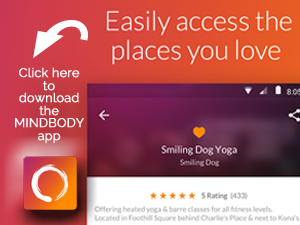 Download the MINDBODY app. Favorite “Oriental Phoenix Arts,” and register for your New Student “TWO WEEK” Trial and book into a martial arts or belly dancing class online today. You can also check-in to classes, manage your account and sign-up for OPA workshops – all from your mobile! Did you know you can manage your account with us from your mobile or computer? You can do this by downloading the MINDBODY app here or by logging on to our software using the email address you gave us when you registered. You’re going places, we understand that! You can freeze your membership anywhere from 1-3 months, in month increments. Just click here and fill out this form to let us know when to start and end the freeze and you can begin where you left off. If you are gone longer than 3 months, please fill out a Membership Cancellation Form instead. Freezing protects your pricing at the time of the FREEZE, if you cancel you are subject to OPA’s current pricing when you return. We hate to see you go, but we understand life happens. Please click here to fill out this form to cancel your membership. Remember, we require 10 days notice before your next membership autopay date. This form CANNOT be used to cancel BLUETKA contracts. No refunds for missed classes or unused memberships, but you are welcome to use up any class hours that you may miss within your month from autopay date (1st or 15th) to autopay date. If your monthly autopay is unable to be processed because of decline or card expiration etc., you will be notified within 3 days. You have 10 days from your autopay date (1st/15th) to provide new card information or use another form of payment. If payment isn’t made within 10 days, a $10 late fee will be incurred. If your account is 30 days overdue, your account will be closed. Reopening your membership requires a $25 Reinstatement Fee. To avoid any interruption of service and/or fees, please provide your new debit/credit card information when it is available. Monthly Memberships may be upgraded or downgraded at the member’s convenience up to three times (3x) within a calendar year. Requests for membership change require 10 day advance notice given in writing (via Membership Modification Form) at Oriental Phoenix Arts. Membership Cancellations require 10-day advance notice given in writing (via Membership Cancellation Form) at Oriental Phoenix Arts, BEFORE your next autopay date. No refunds after your autopay has been charged. It is your responsibility, to let us know IN ADVANCE and we will be happy to make sure you will not be charged again. Pre-payment is required for all private lessons and appointments. 24 hour notice of cancellation or reschedules is required to avoid being charged the full appointment fee. Private lessons expire 3 months after purchase. Be on time to class. You may arrive a few minutes early, prepare, change, use the bathroom and be ready when class begins. When you are late you miss important announcements and warm-ups which are an integral part of your class. All students must have appropriate clothing on during your class. The mandatory full uniform for kungfu/taiji students and belly dancing students should wear appropriate “fitness” clothing that allows freedom of movement. No jeans. Clothing revealing the tummy is allowed, but do maintain some modesty as our studio is a “family friendly” place. Students / Parents are not allowed to take pictures or record DURING classes. You may take pictures briefly between classes of yourself/your child and/or those whom have given permission to you to be recorded or photographed. No recording of choreographies unless teacher has given express consent for you to do so. Refrain from chit-chatting with fellow students, while the teacher is teaching during classes. It is very distracting for the teacher and disruptive to other students around you who are trying to hear the teacher. Parents / Spectators should sit quietly in the seating area and not interact with students during class, as this distracts the student’s attention from the teacher and other students in class. Do what is necessary to be clean, body odor free, and free of perfumes/colognes during your classes. Many of our teachers and students are sensitive or have allergies. Be respectful and kind to all others while you are here. We pride ourselves on having a diverse group of students and we strive to make OPA a place where everyone feels respected and cared for. Don’t teach other students unless the instructor requests your assistance and refrain from interjecting your own advice, stories, and comments unless the teacher requests your feedback. Students are encouraged to ask the TEACHER pertinent questions during class! Please silence your cell phone and refrain from using it during class. If you are expecting an important call, please keep your phone on vibrate in your pocket and please practice nearest the door, so you can slip out to talk with minimal interruption to the class.